The club will resume after the summer break on Wednesday September 10th 2014 at 8pm in the Jonathan Swift Hall. The topic will be “A talk on Monet’s Masterpiece at Giverny” by Brenda Dalaney. This will be followed by the AGM. New Members always welcome. “Farmers and Charmers “ entertainment night on Friday September 19th 2014 in Germaine’s, Baltinglass. Further information contact Florrie 0874106364 or John 0868072086. The culture bus will travel to Mount Congreve gardens in Waterford on Saturday August 30th 2014. 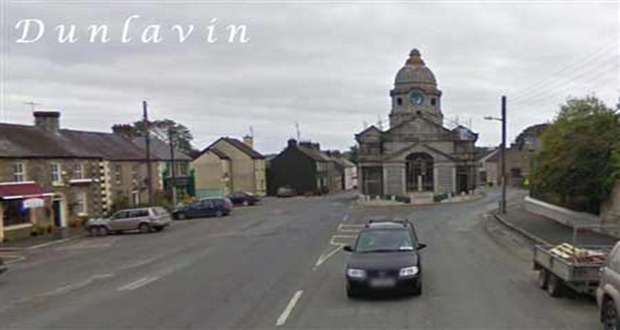 The bus will depart Dunlavin at 10am and return at 7pm (approx) Enquiries to 0879693960. Last years Wicklow Rose Sarah Whelan has launched her illustrated book in memory of the event and it is on sale in Blessington Book shop. Sympathy is extended to Catherine O’Reilly and family on the death last week of Catherine’s brother John Browne. John died after a long illness and was buried in Baltinglass on August 12th 2014 following a con-celebrated Mass. A guard of honour was provided by The Irish Red Cross of which John was an active member for years. May John rest in peace. The Dunlavin Inn Golf Society next outing on August 30th to Athy Golf Club.Visitors welcome. The parish flower festival will take place on September 26th,27th and 28th 2014. Further details from the parish office at 045/401871. the event is open to individuals or organisations. The categories are as follows Advanced, Intermediate, Beginners, Novice, Schools, Novelty and Groups. Children (5-7 Years, 8-10 and 11 plus) Biscuit Tin Lids, Egg Cups or own design. It is hoped the business’s will get involved by creating an arrangement. If anyone would like to sponsor an arrangement for a loved one please contact the parish office on 045/ 401871.